Brandon, age 6. Photo taken by Dakster Sullivan. 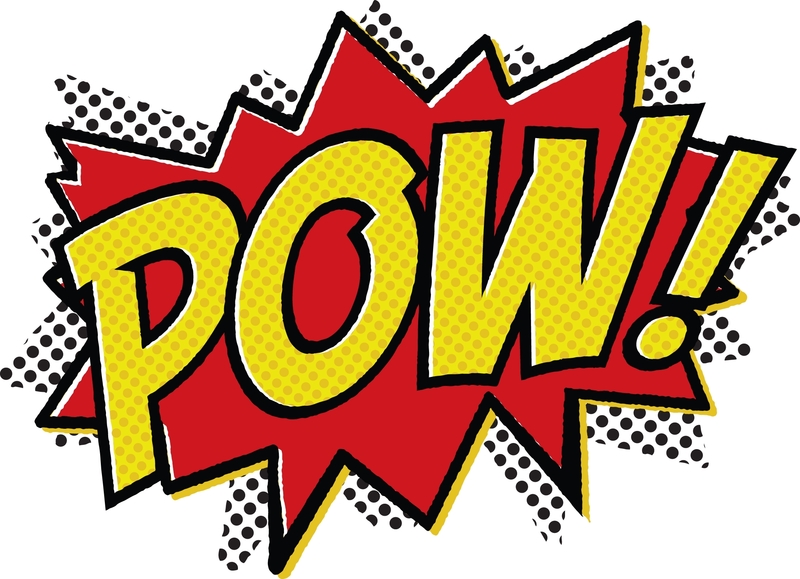 Welcome to a special segment of Comic Book Corner dedicated to the young comic book readers. Ever since I started to read comic books (a whole four months ago…), I’ve wondered what kind of appropriate material is out there for kids. A few times on GeekMom we’ve had parents ask us what to get their kids. After a few weeks of research, talking to fellow comic book fans and reading with my 6-year-old son, I have come up with a list of recommended reading for the younger variety. Side note: Although everything on the list is for all ages, any title with a before the name is especially good for early readers. Superman Family Adventures: From the creators of Tiny Titans, Superman Family Adventures is perfect for young readers. The series features classic Superman elements re-written for the younger fans. It’s nice to see Superman’s New 52 look being pushed into this series as well. This title is perfect for early readers. Super Hero Squad: Based on the TV show by the same name, Super Hero Squad is a more kid-friendly version of some of Marvel’s most popular characters. 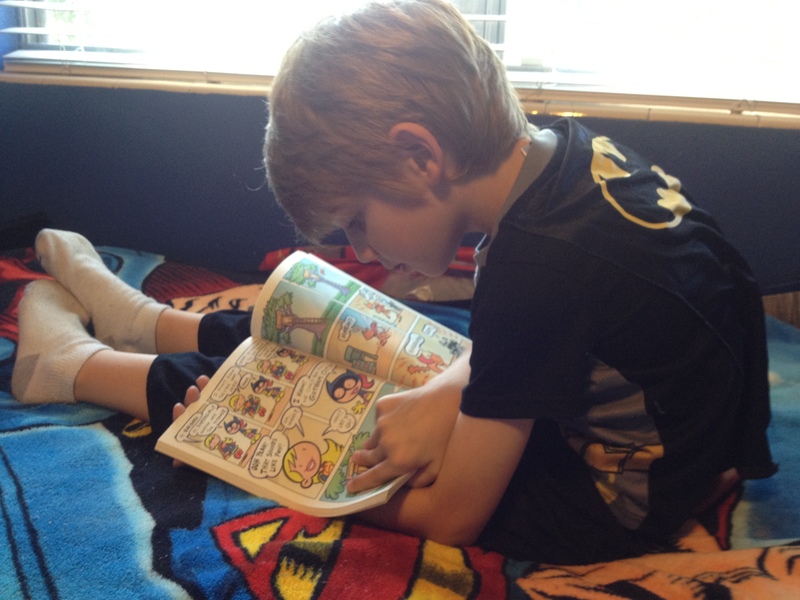 With built-in humor and spoofs, it’s aimed at the younger comic book readers. Sonic the Hedgehog: The story follows the exploits of a group of rebel freedom fighters as they fight back against the dictatorship of Dr. Eggman. This was my son’s first comic book. He was able to read it on his own with some help. Disney Comics Ultra Heroes: The Story follows Super Goof, The Duck Avenger, Eega Beeva, The Red Bat and more coming together as Disney’s mightiest band of heroes. Recommended for all ages, some early readers may find this difficult to read on their own. Disney Comics Wizards of Mickey: The story follows the adventures of Mickey Mouse, Donald Duck and Goofy as they compete in the Grand Wizard’s tournament. Our heroes are determined to win all the pieces of the Sorcerer Supreme’s crown so they can free Mickey’s master from the hands of the evil Phantom Blot. Recommended for all ages, some early readers may find this difficult to read on their own. Roger Langridge’s Snarked: Journey with Langridge as he yanks the carpet out from under such Lewis Carroll classics as ‘The Walrus and The Carpenter,” ‘Through the Looking Glass,” and ‘The Hunting of the Snark,” producing a new world of entertaining magnificence. Recommended for all ages, some early readers may find this difficult to read on their own. Overall I’m pretty satisfied with what I found. Tiny Titans and the Superman Family Adventures should hold my 6-year-old over until the new Marvel Universe: Avengers comes out in April. Being a digital reader, I can tell you that most of the stories mentioned above can be found in the comiXology app, free in the iTunes store. Check out their kids’ app Comics4Kids. If you are looking for classic stories to get your child reading, Disney’s comic book app is a great place to start. For around $2.99 you can get classic stories like the Lion King, Pixar Cars, Cinderella, and many more in a comic book format. It’s a nice alternative to watching the movie 20 times on a road trip. Superman Family Adventures looks adorable but I disagree that seeing any new 52 elements included is positive for Superman. I understand you are a new reader but the changes to Superman have not been good changes at all. They have been terrible. But yes this book looks very cute. New 52 for Superman? Awful for this longtime fan. I already dropped all the superbooks. This will be the only one I buy because the kids will love it. Disney comics are wonderful and the kids love them! Very age appropriate!!! Kids will miss Tiny titans for sure but hoping Superman Family Adventures fills the gap. I’ve found that my kids both really like the Mouseguard series, and think it’s worth adding to your list. Thanks for the suggestion! Ill check it out. Jeff Smith’s “Bone” is amazing and kids love it–I read it myself when it first came out, and then reread it with my now 9-year old, and am rereading it yet again with my 6-year-old. You DO know that Tiny Titans just released its last issue, right? There’s lots of trades, but of new issues there will be none. So as long as you’re basically telling people to buy trades, I’d suggest you seek out Scholly Fisch’s Super Friends series. Lighthearted, but still steeped in obscure comics trivia, the book was an underappreciated dream. I did hear about Tiny Titans, but since they’re so popular and easy to ready, I decided to include them on the list. If I get enough new suggestions from readers, I might make a part two of the list in the future. 🙂 Thanks for sharing! Love this! Was looking for recommendations for some younger cousins of mine who have birthdays coming up.